What to drink during low-intensity workouts? I know, I know - "water" is the best answer! And when I'm doing a whole 30, that's what I drink. But when I'm in Food Freedom mode, I'd like to have some other options. I'm trying to reduce my psychological dependence on drinking BCAAs with every workout - I've gotten to the point where I'm vaguely panicky at the thought of workout out without them! On power-training days I'll have BCAAs, coconut water etc. But on low-intensity days BCAAs aren't necessary and I'd love to hear your ideas for alternatives. 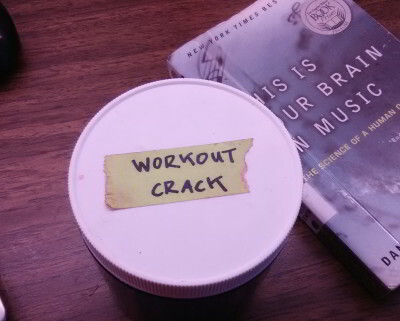 Put a label on the container of BCAAs and write "for power-training only". If it's a low intensity day and you're not sweating buckets, drink water. I teach 5 group fitness classes a week and go to CrossFit 3 times a week. When I'm teaching - all I drink is water. When not on a Whole30, I throw some BCAAs in my water for CrossFit. When it's the middle of summer and I start sweating when I get out of bed, I'll throw a nuun tablet in my water bottle when I go to teach (these are not Whole30 compliant). @laura_juggles @kirkor haha thank you I will. Next low intensity day I'm going to try water with lemon and Im gonna be OK!